Home Activities Food Safety McDonalds The Happy Meal's Danger Warning: Truth or Fiction? The Happy Meal's Danger Warning: Truth or Fiction? An article about an experiment conducted by New York City-based artist and photographer Sally Davies. Davies bought a happy mean and decided not to eat it but instead conduct an experiment on what will happen to it after six months. 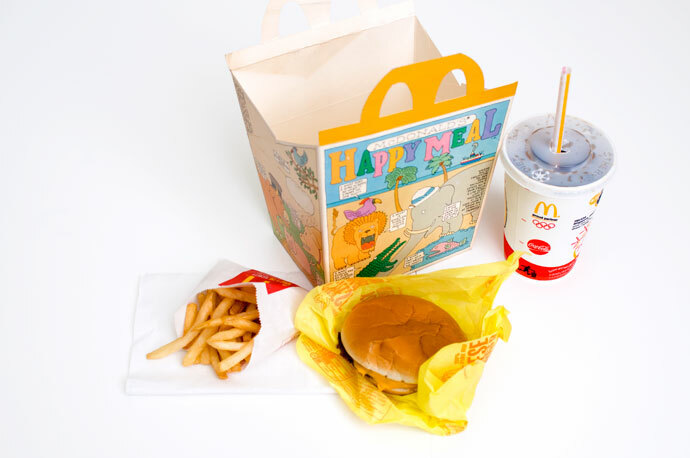 Everyday for the next six months Davies photographed the Happy Meal. After six months there was one interesting discovery, "The only change that I can see is that it has become hard as a rock," Davies told the U.K. Daily Mail. See the six months progression of the McDonald's Happy Meal Experiment HERE. However since McDonald's are saying that the experiment is flawed, The Products Blog and Challenge.ph invites everyone to do one large group experiment of the same kind and let us see whether this is true or not. Are you ready to do the experiment? Visit THIS SITE and join "The McDonalds Challenge (Challenge.ph McDo Happy Meal Project)"